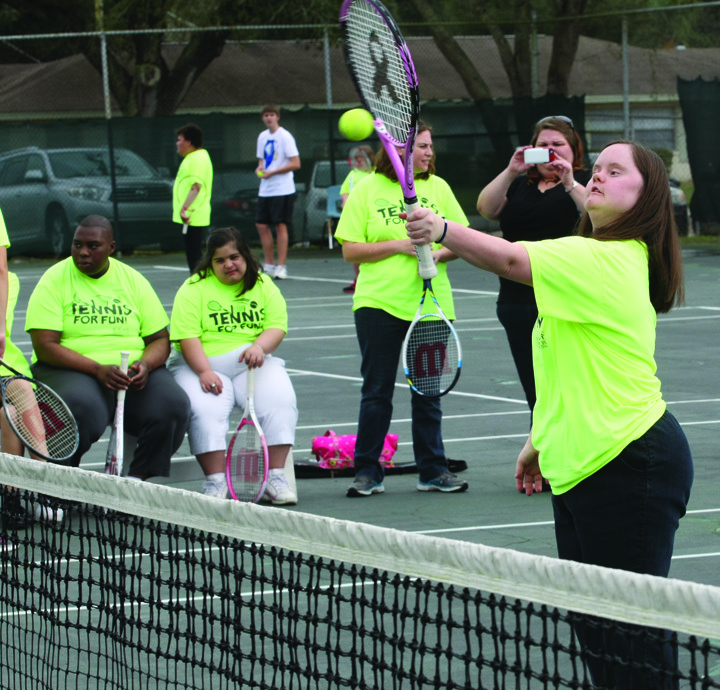 For the second year in a row, the Brandon Sports and Aquatic Center was the proud host of the Hillsborough County Special Olympics, held annually at area centers that are able to serve the sports the event features. 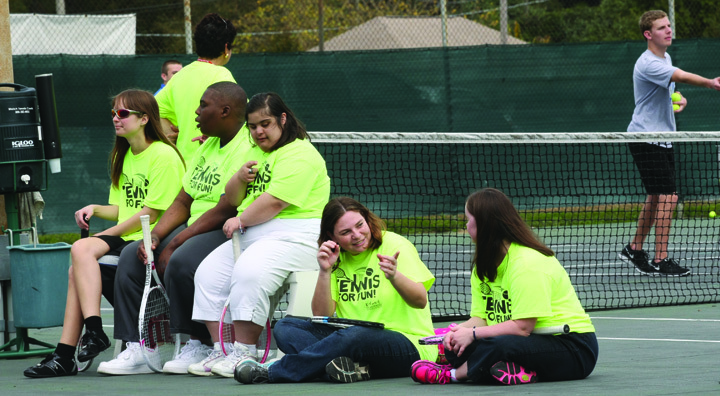 While last year’s Olympics took advantage of BSAC’s aquatic facility, athletes this year got the chance to measure up their tennis talents and abilities during a skills-oriented competition held on Saturday, February 1. 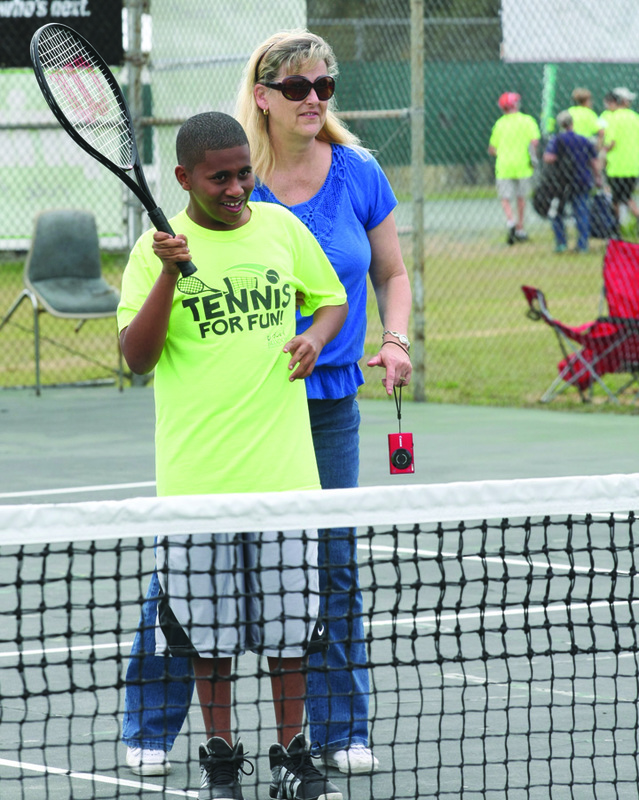 The close to 80 registered athletes made good use of the center’s four hard and six clay courts with plenty of family and friends in attendance. “I like tennis and I hope I win today,” said Kari Cooper, 29, adding that she also likes soccer, but the best part of the event is enjoying time with friends and family. At the end of the event, Burgess accepted an award from Director of Hillsborough County Special Olympics, Glenn Fite, assisted by Special Olympics volunteer and Team TRIDENT staff member, Candy Corsi. BSAC officials said that it is their hope to see the return of the Special Olympics with the possibility of hosting a softball tournament the next time, which would add to the center’s list of programs. The Brandon Sports and Aquatic Center, located at 405 Beverly Blvd. in Brandon, recently celebrated its 50th anniversary. For more information about BSAC, visit www.mybsac.org.